Ankerrollen - 200MM - Advitek Marine Systems A.M.S. B.V. STAINLESS STEEL BOW ROLLERS. Manufactured to the highest quality in 316 stainless steel. 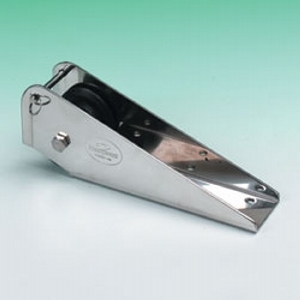 This bow roller that has a width of 90mm which makes this unit ideal all types of craft. No. 96146: 200mm.